For the third year in a row, Montana will be attending and exhibiting at IMEX America October 18 – 20, 2016 in Las Vegas, Nevada. 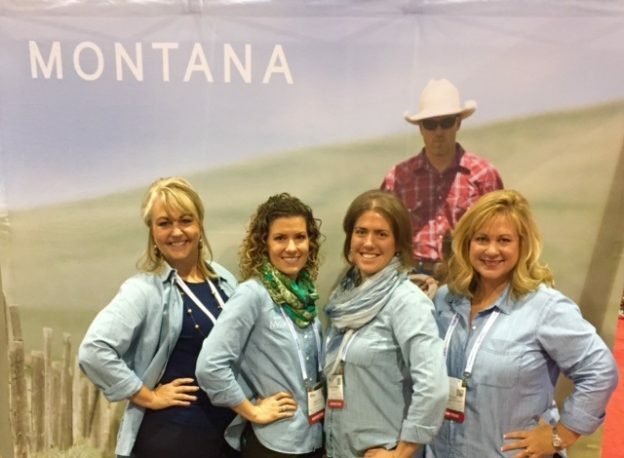 This year, the Montana booth will be bigger and better than ever as we welcome meeting planners to stop in booth 812 and learn more about Montana as a meeting destination. 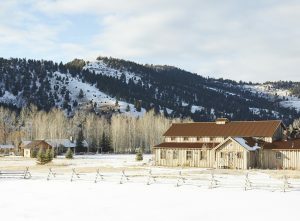 Whether you are looking for the perfect luxury guest ranch for a corporate incentive group, a large branded hotel with a ballroom and breakouts for the association conference or the mountainside hot springs resort for the board retreat, Montana has it all. Joining the Montana booth this year is Daryl Schliem, the President and CEO of the Bozeman Convention & Visitors Bureau. 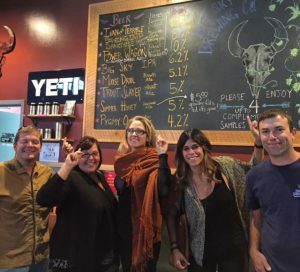 The hospitality options and outdoor activities that attract meeting planners to the Bozeman area include an abundance of recreation, resorts, shopping, museums, breweries and its close proximity to Yellowstone National Park. 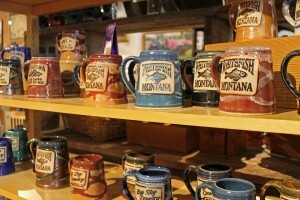 In town, you’ll find plenty of local flavor in Bozeman’s historic downtown shops, restaurants and galleries. 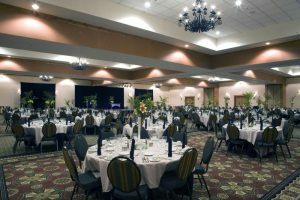 From a casual boardroom meeting to the formal ballroom soirée, Bozeman has plenty of meeting and function space as well as over 2,500 guest rooms. Boasting the largest airport in Montana, Bozeman Yellowstone International Airport offers many direct flights to major cities in the U.S., making Bozeman the perfect mountain meeting setting, providing everything a group needs to get business done by day along with an exhilarating Montana experience waiting just outside the conference room door. Rebecca Engum is the Executive Director at the Great Falls Convention & Visitors Bureau and will be joining the Montana booth to discuss the alluring landscapes, rugged independence and genuine experiences that create authentic Montana meeting memories in Great Falls. 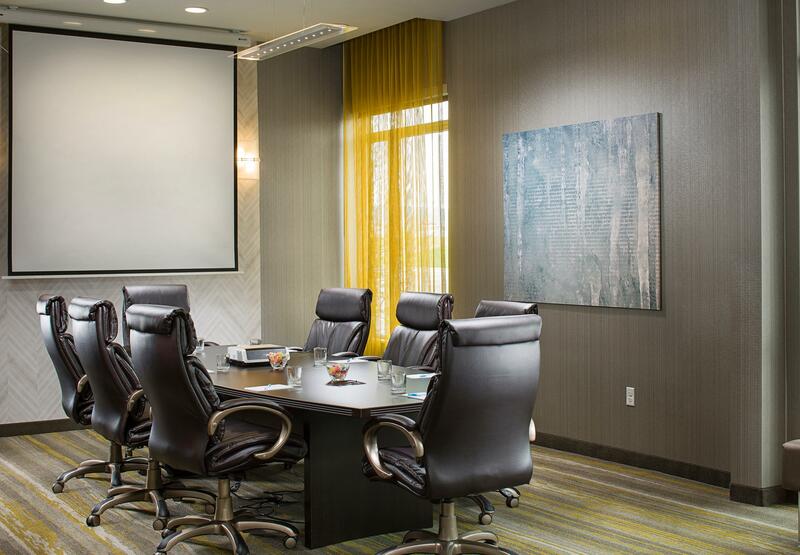 Offering top-notch meeting space along whttp://rebecca@visitgreatfalls.orgith quality accommodations, Great Falls—the third largest city in Montana—has additional highlights that include the C.M. 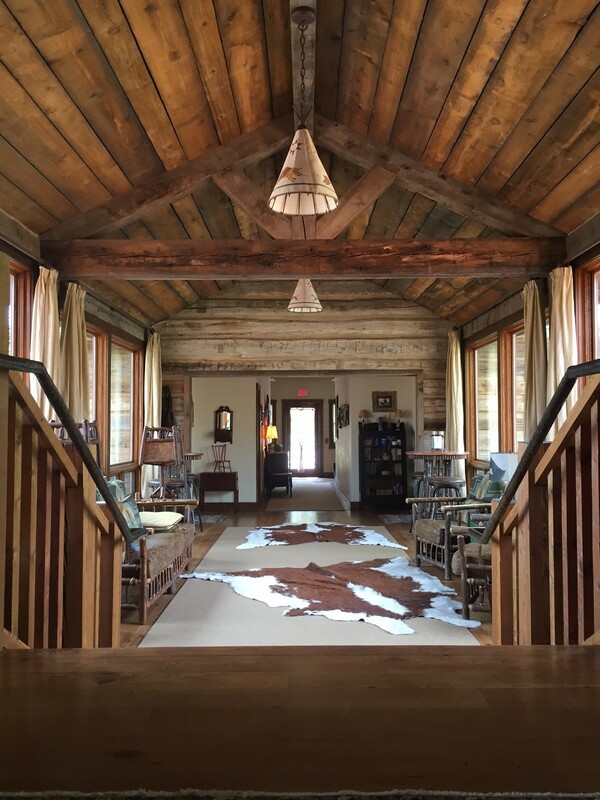 Russell Museum, Lewis and Clark Interpretive Center, fine dining and one-of-a-kind outdoor adventures. 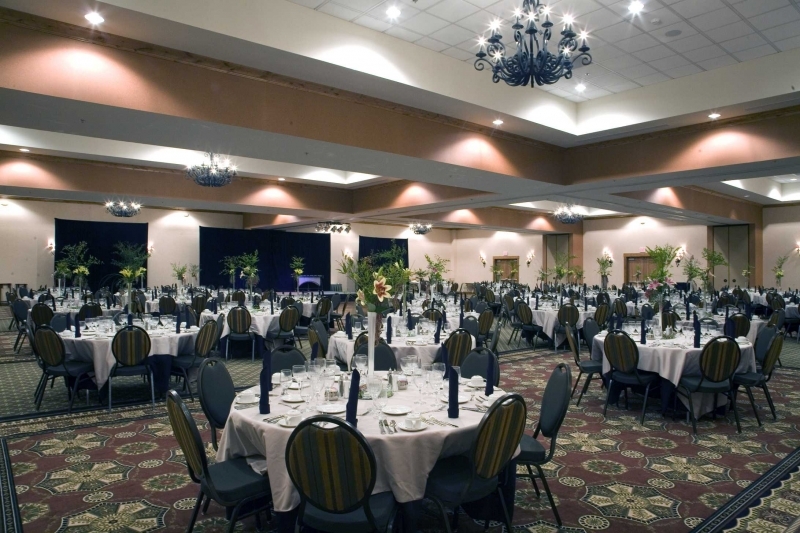 With nearly 2,200 guest rooms available and more than 120,000 square feet of meeting and exhibit space, Great Falls can accommodate groups of more than 2,000 attendees and citywide events of up to 5,000 attendees. 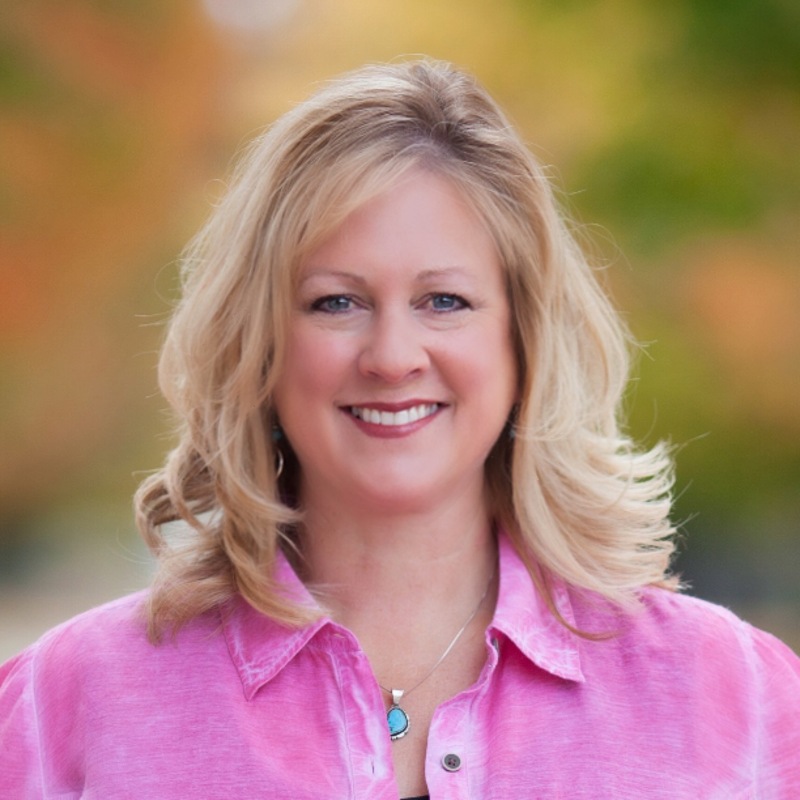 Representing Discover Kalispell in the Montana booth again this year is Group Sales Manager, Dawn Jackson. As the gateway to Glacier National Park and Flathead Lake, Kalispell is in the middle of Montana’s most iconic natural places and the ideal environment to increase conference attendance and utilize the city’s venues and modern amenities to conduct effective business. 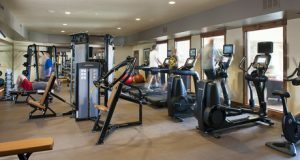 With the addition of a new hotel in 2016, Kalispell offers 1,800 guest rooms and 56,000 square feet of meeting space for citywide groups of up to 4,000 attendees. 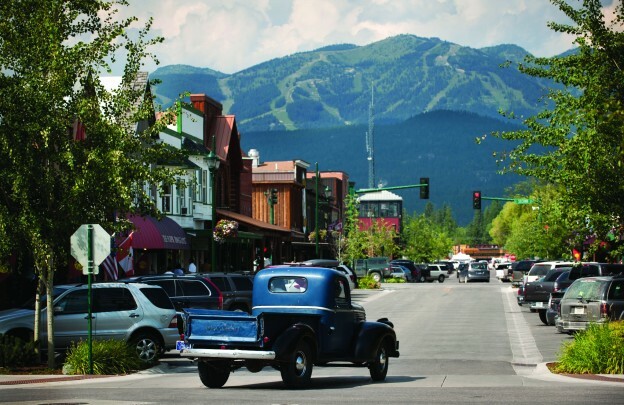 Kalispell’s community is filled with unique shopping, cultural offerings, fine restaurants, wonderful events and welcoming smiles. 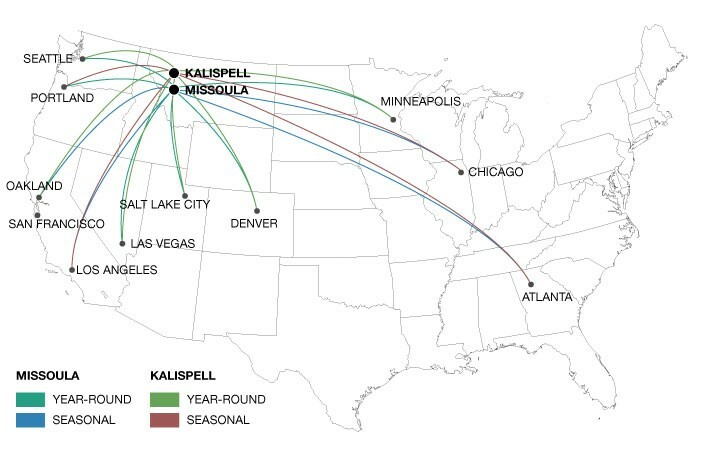 Kalispell’s international airport, Glacier Park International, offers year-round direct flights to five major markets and additional seasonal directs to another five markets making access to Kalispell incredibly easy. Serving as the Director of Sales and Services for Destination Missoula, Mary Holmes will be back to talk about meetings in Missoula again this year. 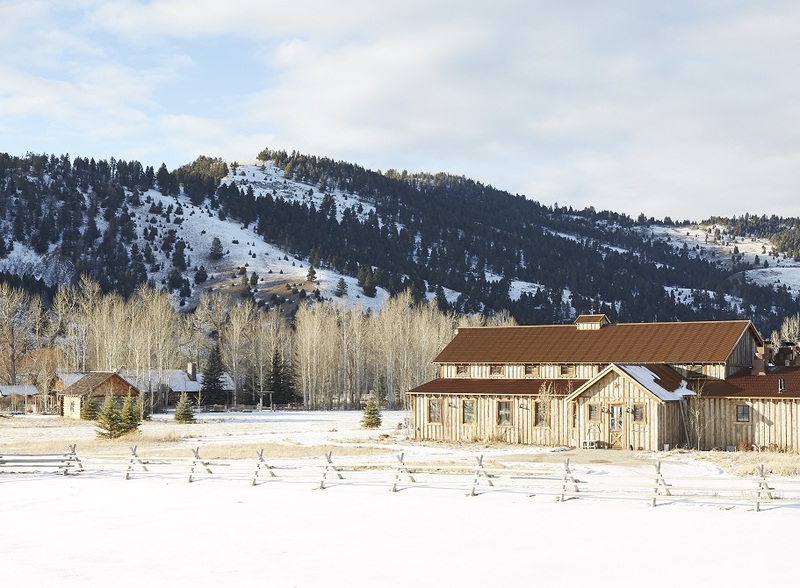 Missoula is the second largest city and cultural hub of Montana as it provides the perfect blend of business and pleasure for meeting attendees with outdoor adventure, abundant nightlife, unexpected sophistication and a thriving food scene. Whether the meeting is an intimate corporate retreat or a large association conference, Missoula has something for everyone. With nearly 170,000 square feet of meeting space and 3,400 guest rooms at hotels for every budget level, Missoula is a great destination for meetings up to 2,000 attendees or citywide events for up to 5,000 attendees. 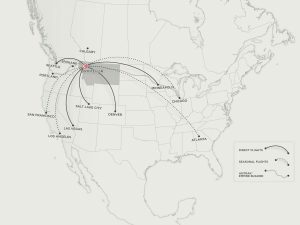 Plus, direct flights arrive into Missoula International Airport from 12 major U.S. markets. As the Marketing Coordinator for Explore Whitefish, Jessica Downing focuses on group travel and will be joining the Montana booth this year. Whitefish creates lasting impressions and earns rave reviews for meetings, events and corporate retreats. 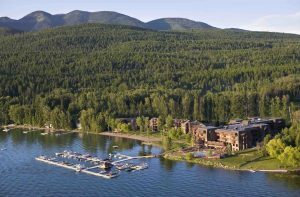 With the addition of two new hotels in 2016 and more than 700 guest rooms and 46,000 square feet of meeting space, Whitefish is perfect for groups up to 300 attendees and citywide events of 1,500 attendees. Plus, Whitefish has a unique combination of breathtaking scenery, year-round recreational pursuits and a vibrant town that offers diverse accommodations and outstanding hospitality. 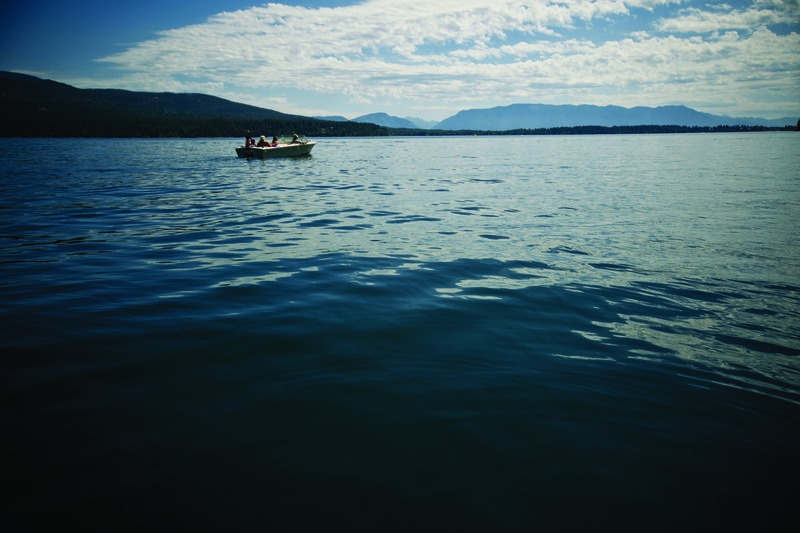 An added bonus: getting to Whitefish is easy. 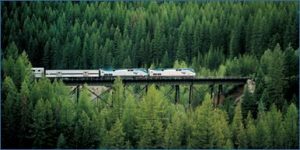 Amtrak’s Empire Builder makes daily stops in Whitefish from both Seattle/Portland and Chicago, while direct flights arrive regularly into nearby Glacier Park International Airport. 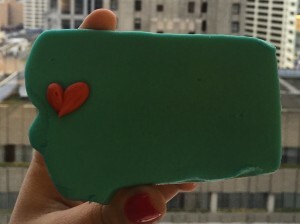 If you’re coming to IMEX America 2016, let us know. 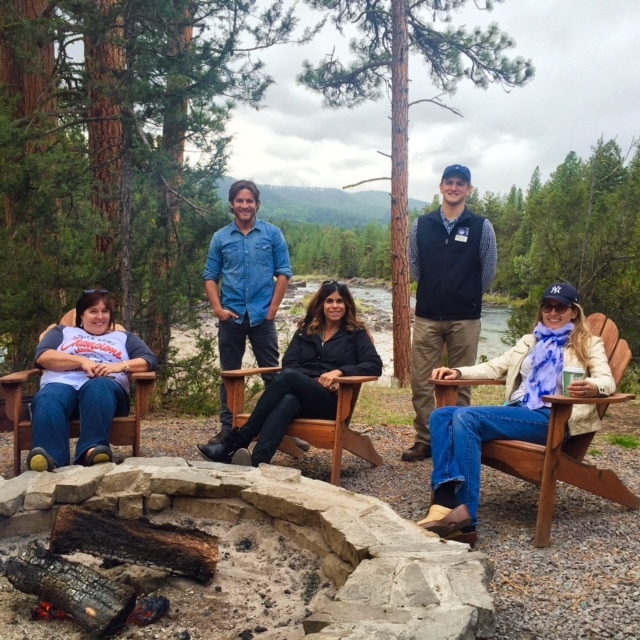 We’d love to meet with you and talk meetings in Montana. *To meet with Montana’s Glacier Country, and the CVB’s in Kalispell, Missoula and Whitefish, make an appointment with Western Montana’s Glacier Country. 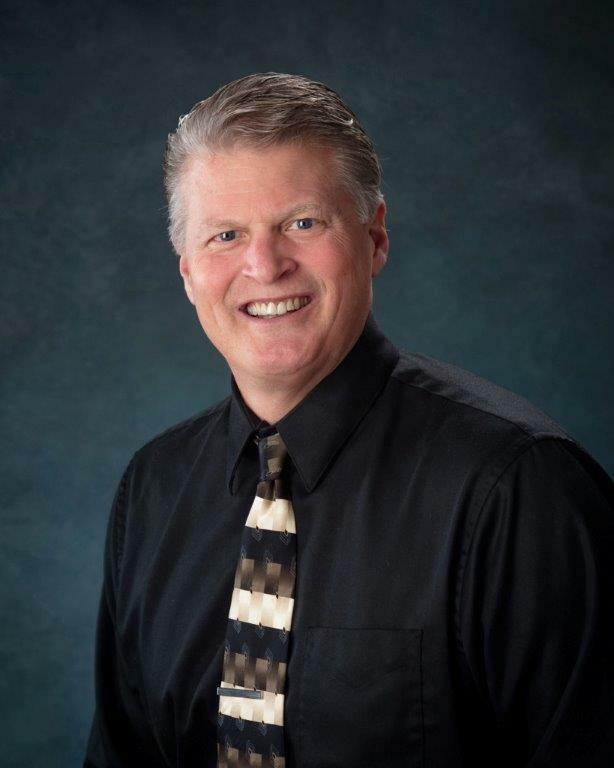 The four Western Montana representatives will be sharing each 20-minute appointment session throughout the show (think of it as a one-stop Western Montana appointment stop). *If you can’t meet with us during the pre-scheduled appointment times at IMEX, feel free to stop by booth 812 anyway. We welcome drop-ins and will be hosting daily giveaways. 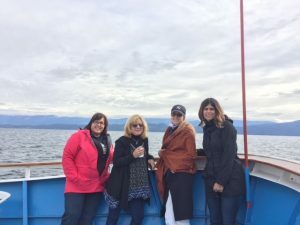 This entry was posted in Meetings & Conventions and tagged Board Meetings, Corporate retreats, Hot Springs, Incentive, Kalispell meetings, Missoula meetings, Montana Meetings, unique lodging, Unique Venues, Whitefish meetings, Winter Retreats on August 23, 2016 by Debbie. Meeting planners often contemplate how to boost attendance at their next association meeting or add an element of intrigue to an upcoming corporate retreat, while attendees look forward to visiting a destination that they’ve never been to or taking part in an exciting outdoor experience or activity that is part of the conference program. The anticipation of these activities builds excitement and can revive and rejuvenate attendees after days of early wake-up calls and spending long hours sitting indoors with back-to-back sessions. 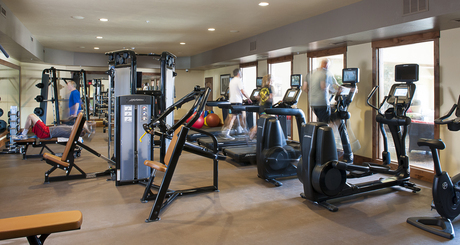 As a bonus, it allows them to see and enjoy the surrounding landscape the host community has to offer. 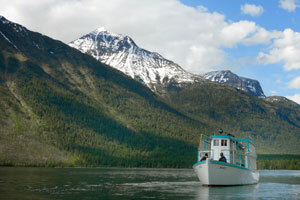 And if there’s one thing Montana can deliver, it’s an ultimate outdoor adventure. 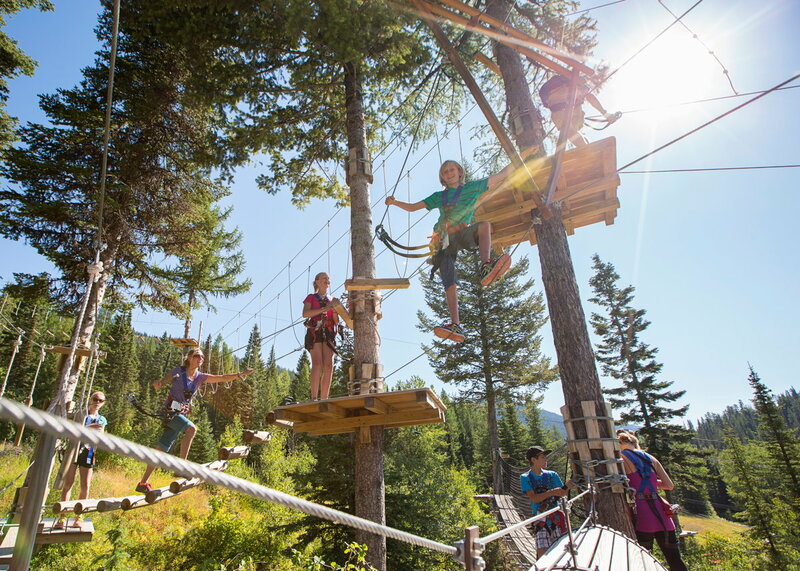 Adding an outdoor adventure to your next meeting agenda in Western Montana’s Glacier Country is easy when you utilize Montana’s most notable and stunning adventure assets–rivers, mountains and lakes—along with the services of professional guides and outfitters. 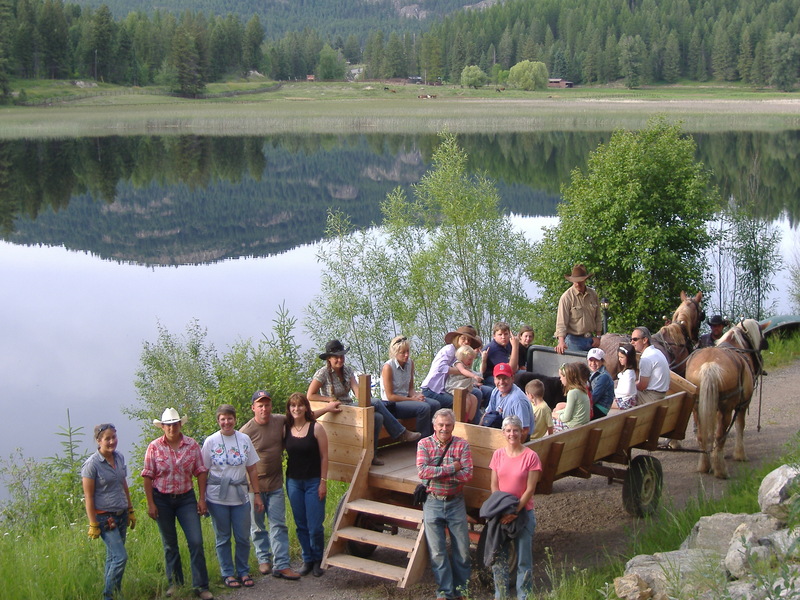 Whether the group wants to take a trail ride by horseback near Kalispell (read more about meetings in Kalispell here) or a mountain biking excursion in Whitefish, float the Alberton Gorge near Missoula (learn more about meeting in Missoula here) or take a guided hike through Glacier National Park, Western Montana has professional, experienced and well-equipped guides to make group adventures easy, safe, educational and a whole lot of fun. 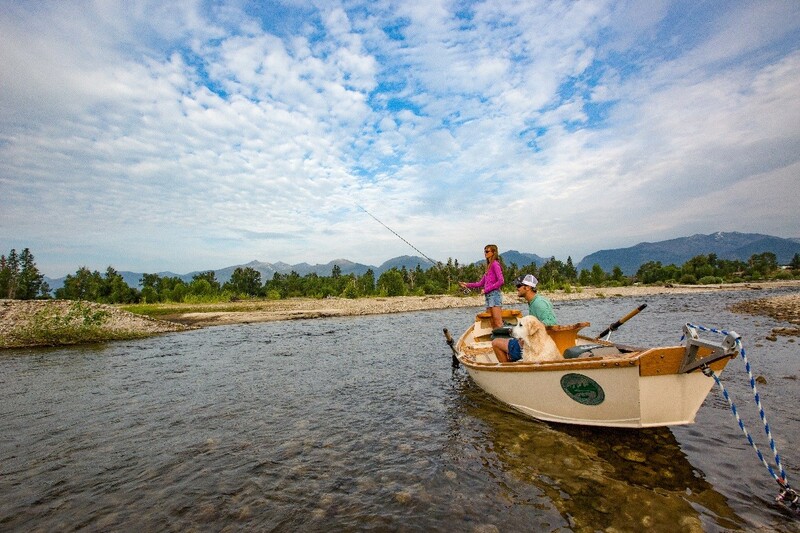 Glacier Country is home to some famous rivers­­–the Blackfoot, Bitterroot, Clark Fork and Flathead to name just a few–for both water recreation and fishing. 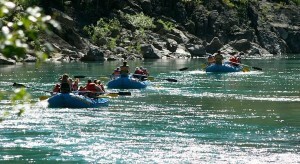 From calm scenic floats to an exhilarating spring whitewater adventure, Montana’s rivers can accommodate. 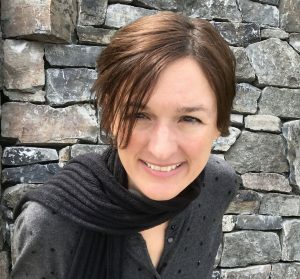 A unique feature added to the Clark Fork River—that runs through the city of Missoula—is a man-made whitewater play area called Brennan’s Wave, for adventurers to try their hand at kayaking or wave surfing on a river. Brennan’s Wave in downtown Missoula. 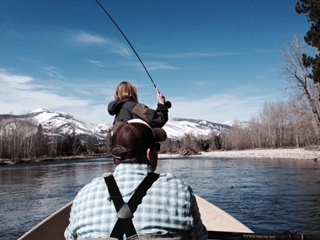 Fly-fishing on blue-ribbon trout streams and rivers in Montana was made famous by the movie A River Runs Through It. 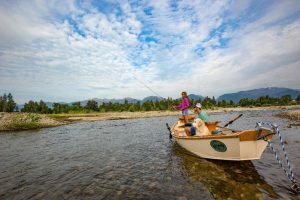 For groups looking to learn how to fly-fish or even those with experience, hiring a guide that knows the prime fishing holes and the right fly to use on any given day, can make the adventure a true success. Guided fly-fishing lessons on the Bitterroot River. Western Montana is located in the heart of the Rocky Mountains, which does have its benefits when it comes to winter recreation. 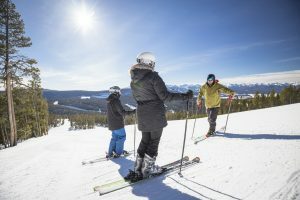 Winter snow brings ample accumulations to Glacier County’s six downhill ski and snowboard destinations, along with scenic cross-country skiing and snowshoeing opportunities. For groups that are ultra-adventurous, enlist a guide for a snowmobiling or dog sledding adventure. 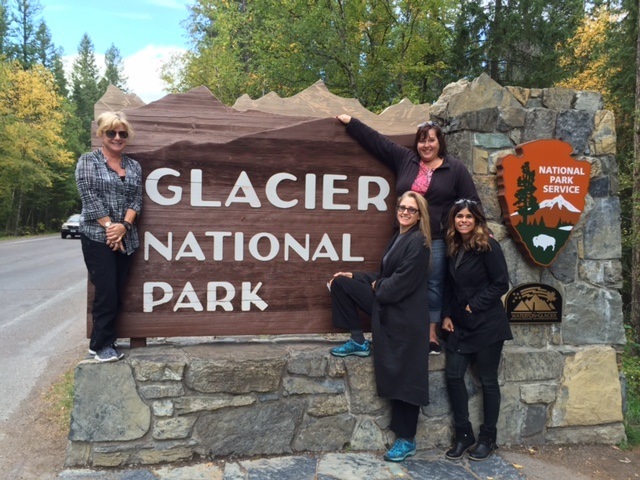 Plan a winter experience for your meeting attendees with a guided adventure into Glacier National Park with Glacier Adventure Guides. 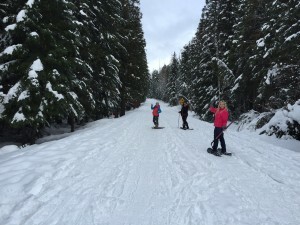 Snowshoeing in Glacier National Park. From late spring through late fall, easily accessible trail systems abound in Western Montana for exceptional mountain biking. There are multiple mountain bike rental facilities and guide services that can have the bikes ready and waiting for groups to arrive, jump on and hit the trails. Biking one of the many trails in Glacier County. 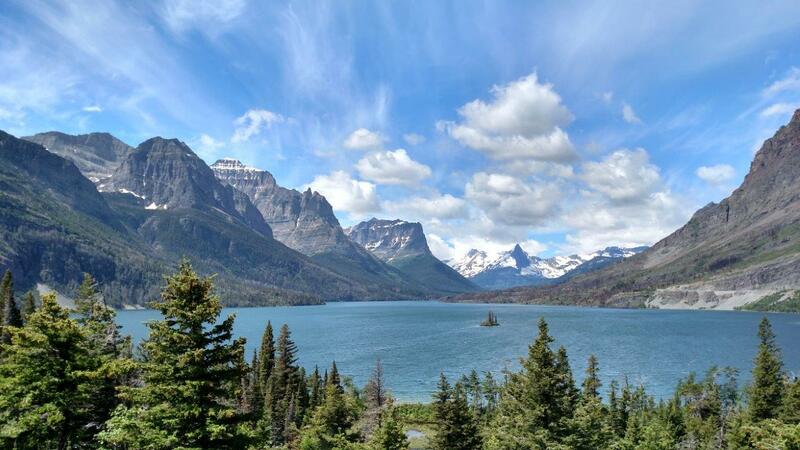 Western Montana is known as a hiker’s paradise. From renowned trails in the Bitterroot Valley to over 700 miles of hiking trails in Glacier National Park, it’s best to use a guide’s expertise to determine your groups ability and to make sure the hike is enjoyed by all participants. In addition, for groups planning a hike in Glacier National Park, Glacier Guides (the concessioner for all hikes in the park) can plan a customized excursion just for your group of meeting attendees. 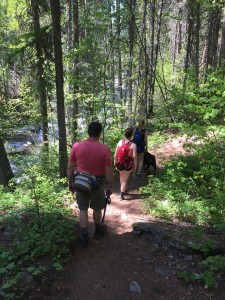 Hiking in the Bitterroot National Forest. 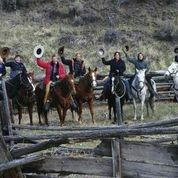 Oftentimes groups come to Montana and want to “cowboy or cowgirl up” on horseback to explore the region. 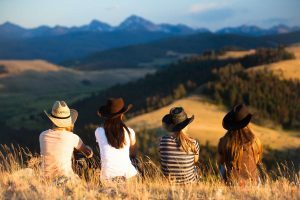 Western Montana has numerous options for both the novice and experienced riders when it comes to enjoying the area on horseback. Plus, some of the best views of the region come from riding the ridgelines. 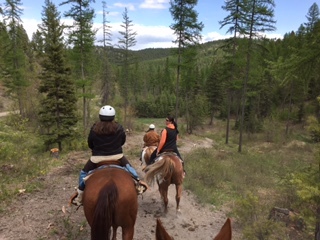 Trail ride in the Salish Mountains outside of Kalispell. Like the incredible rivers in Western Montana’s Glacier Country, the lakes are pretty spectacular as well, offering year-round recreation. 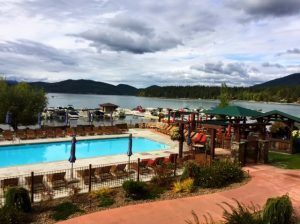 Some of the most notable lakes are Lake Como, Lake Koocanusa, Seeley Lake, Whitefish Lake, Lake McDonald and Flathead Lake–the largest freshwater lake in the West. 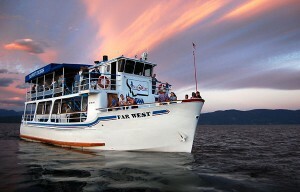 It’s easy to book a sailing trip or charter a larger boat for a lunch or dinner cruise on Flathead Lake. Groups can opt for a wooden boat excursion on Lake McDonald in Glacier National Park or enlist a guide for a group lesson on stand-up paddle boards on Whitefish Lake. Kayaking and canoeing can be done on both lakes and rivers in Western Montana. 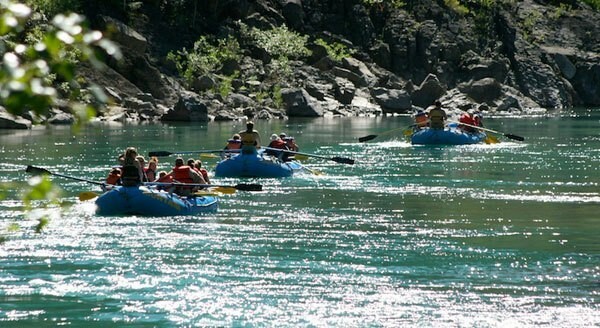 Some sections of rivers provide calm and uncrowded paddling while other parts require excellent paddling skills. Hiring a guide that knows the waterways well is always in the group’s best interest. *Not only do professional guides and outfitters know the rules and regulations for the mountains, tribal lands, wilderness areas and waterways in Montana, they can assist with the right permits, licenses and equipment needed to make your meeting excursions trouble free and memorable. 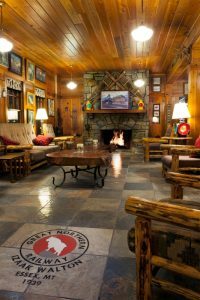 For more information on meeting facilities in Western Montana, visit our Glacier Country meetings website. 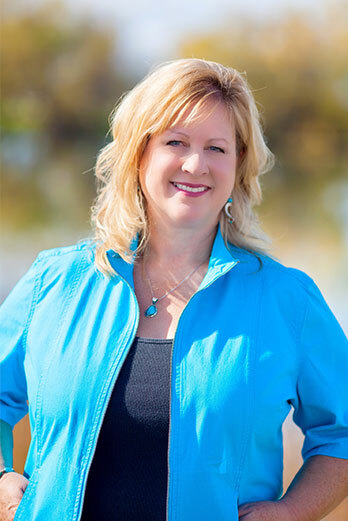 Or, if you’re looking for more information on adding an outdoor adventure to your Western Montana meeting, drop me a line; I’m always here to help. 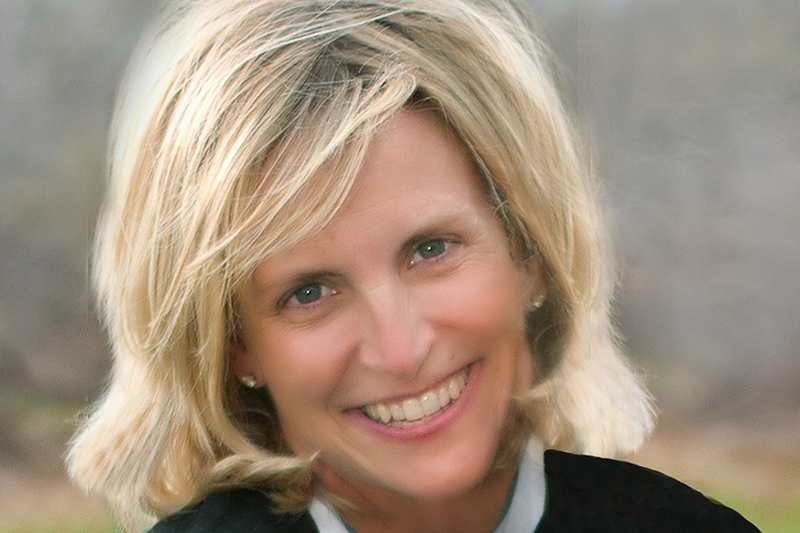 This entry was posted in Meetings & Conventions and tagged Board Meetings, Corporate retreats, Glacier National Park, Incentive, Kalispell meetings, Missoula meetings, Montana Meetings, Outdoor Adventure, Unique Venues, Whitefish meetings, Winter Retreats on April 7, 2016 by Debbie. 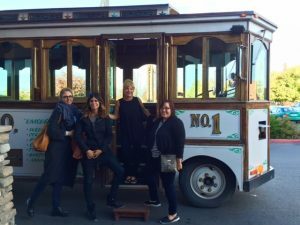 As a meeting planner, you know that the most memorable and productive part of any meeting can take place outside of the meeting room. Here in Whitefish, Montana, our specialty is distinctive meeting locations for small groups and corporate retreats, as well as plentiful off-site opportunities for team bonding and team building that are guaranteed to help your attendees make the most of their meeting in Montana, while solidifying relationships as they enjoy their time in the Rocky Mountains. Central Avenue in downtown Whitefish. 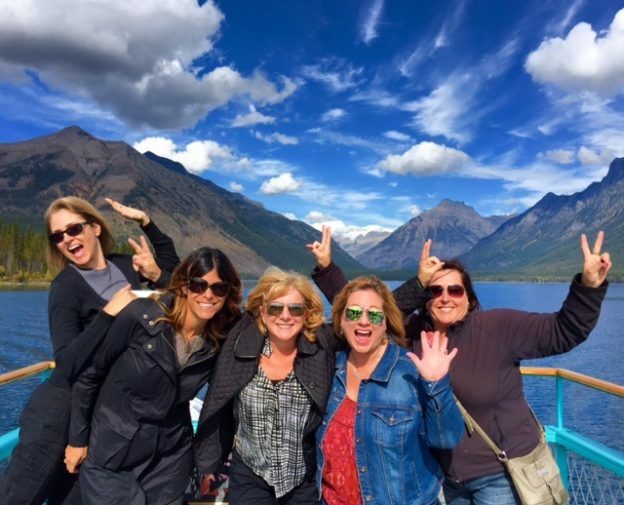 To help make your meeting or retreat memorable, I’ve compiled a list of the top 5 group activities in Whitefish, Montana. Whitefish is a tight-knit community that embodies locally grown values and offerings, including farm-to-table restaurants and made in Montana beer. Introduce meeting attendees to the flavors of Whitefish through tours that include a local brewery, coffee shop and farm. Taste Montana at Great Northern Brewery Company on a brewery tour, followed by a reception on the brewery floor. Public tours take place at 3 p.m., Monday through Friday, in the summer months. However, groups can schedule tours and special tastings directly with the brewery at any time. 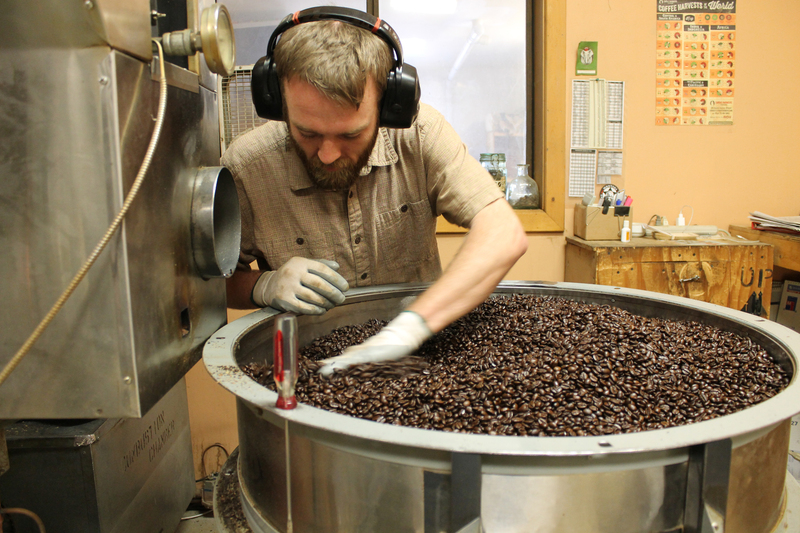 Or consider a look behind-the-scenes on a coffee roasting and cupping tour at Montana Coffee Traders. Roasting tours are offered daily at 10 a.m., but groups are encouraged to call ahead to schedule a private tour. Incorporate Montana agriculture with a farm tour at Purple Frog Gardens. 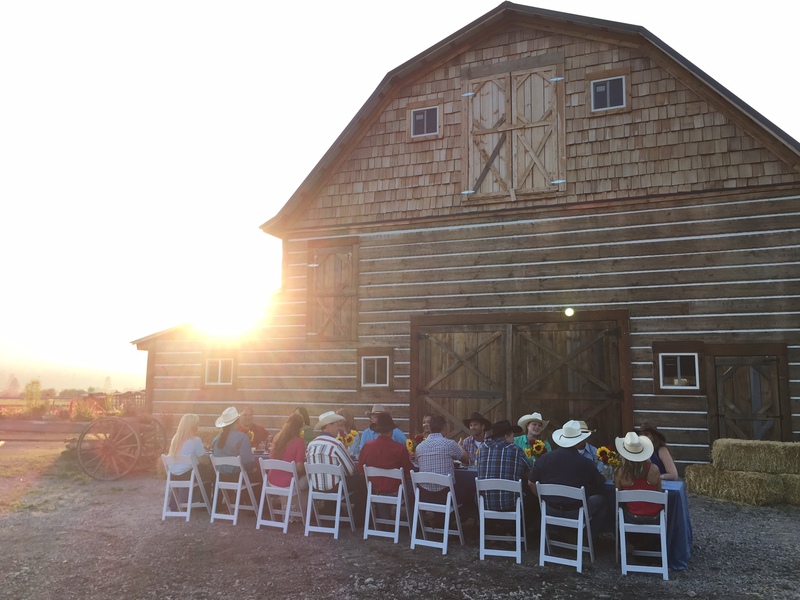 Spring planting season and fall harvest are good times to experience life on the farm, or if you’re looking to add a volunteer element to your meeting, Purple Frog Gardens welcome visitors every Wednesday morning during during the summer months. 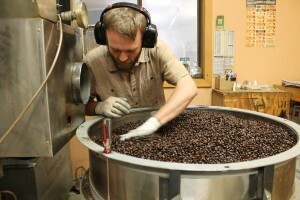 Coffee roasting at Montana Coffee Traders. 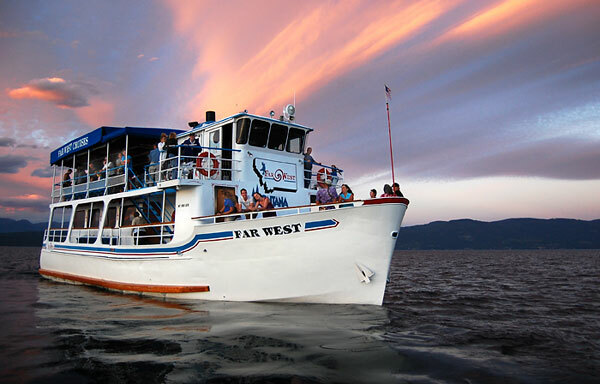 Ideal for a pre-dinner cocktail reception, have your meeting attendees hop on board the historic Lady of the Lake wooden boat at the Lodge at Whitefish Lake for an evening tour of the pristine glacier-carved Whitefish Lake. 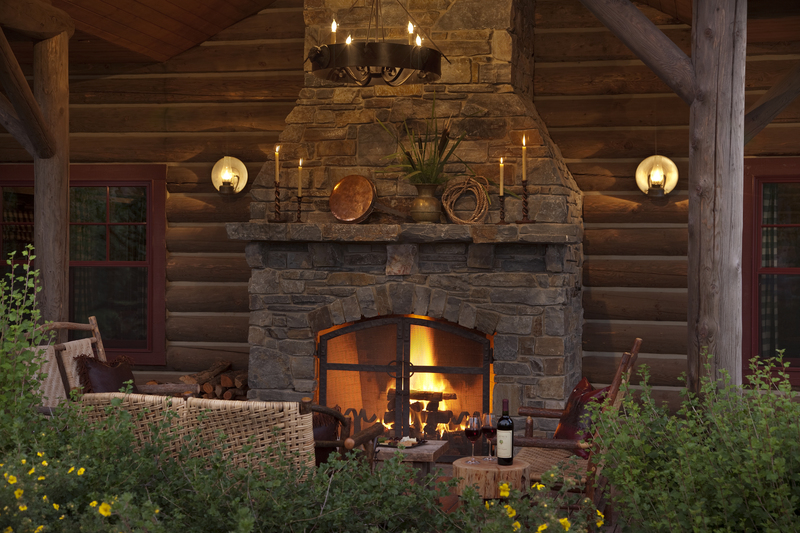 End the night with dinner on the deck of the Boat Club, the lodge’s on-site restaurant. The view from the lake. For some of the most stunning views in the state, plan to ride the Big Mountain Express open chair or gondola to the summit of Whitefish Mountain Resort, complete with sweeping views of Glacier National Park, the Canadian Rockies and the Flathead Valley. 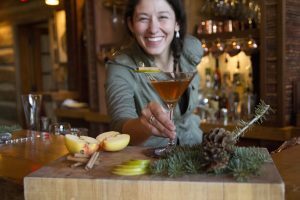 Have lunch at the Summit House, Montana’s only mountain-top restaurant, or have a catered dinner as the lights of the valley twinkle below you. 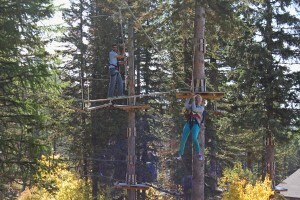 If the group is a little more adventuresome, build teamwork and have fun in the Aerial Adventure Park, an “obstacle course in the sky.” If your meeting is here in the winter months, consider hitting Whitefish Mountain Resort’s 3,000 acres of terrain for world-class skiing and snowboarding that’s great for groups with varied abilities. 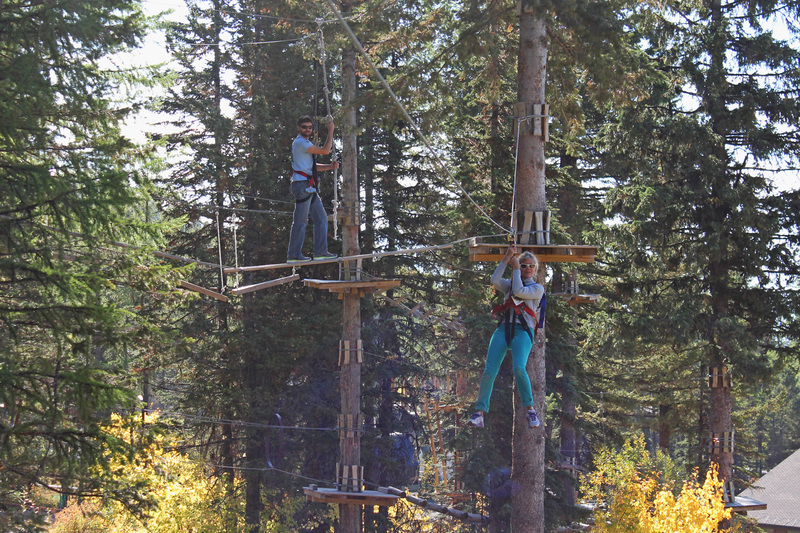 The scenic lift and Aerial Adventure Park are open from late June through September, while ski season runs from December through early April. Experience the thriving art community of Whitefish anytime of year with a self-guided walking tour through specialty art galleries and shops that showcase local, regional and national fine art. Browse handcrafted jewelry (made with Montana Yogo Sapphires) at Stephen Isley Jewelry and fine pottery at Whitefish Pottery & Stillwater Gallery. Have a painting party at the Stumptown Art Studio where participants can paint their own pottery, create mosaics or do glass fusing. The Whitefish Gallery Guide is available for free (contact Explore Whitefish for copies) and contains a map and brief description of each art gallery location. 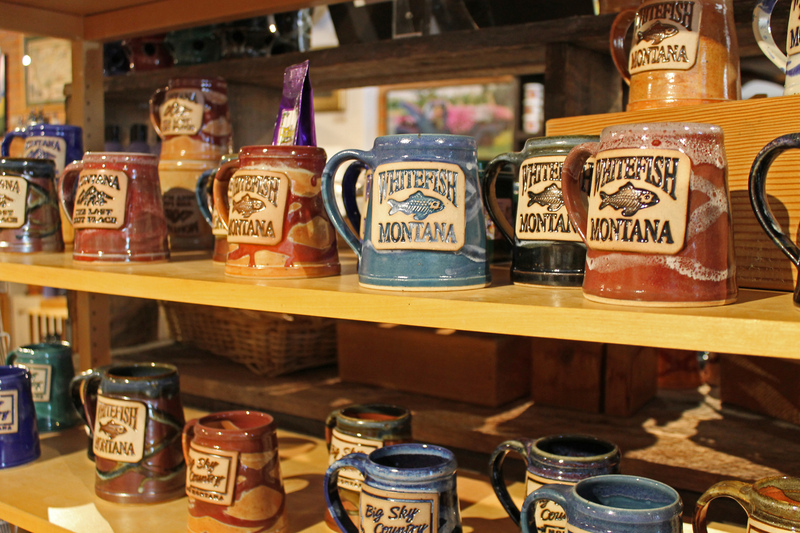 Locally made mugs at Whitefish Pottery. 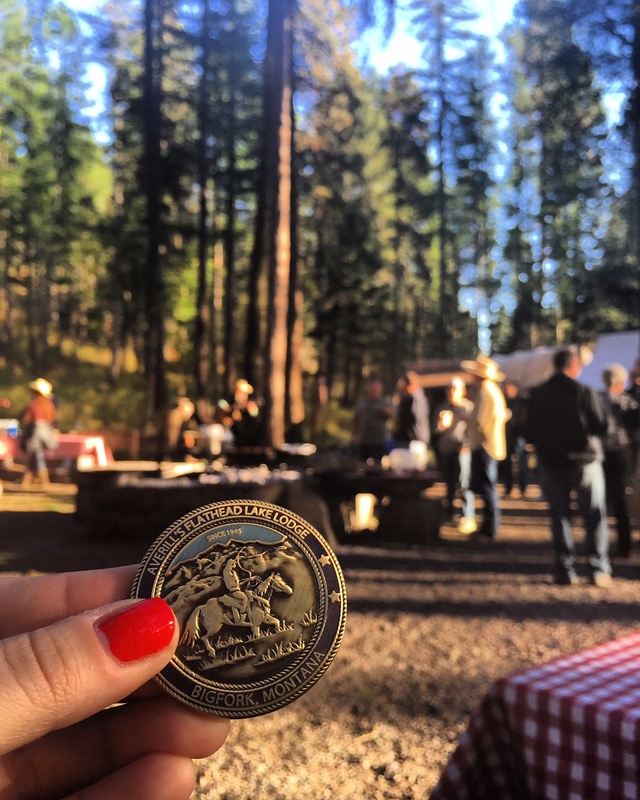 Enjoy western hospitality at Bar W Guest Ranch with guided horseback trail rides (starting in late spring) or take a wagon ride and finish with a campfire cookout. 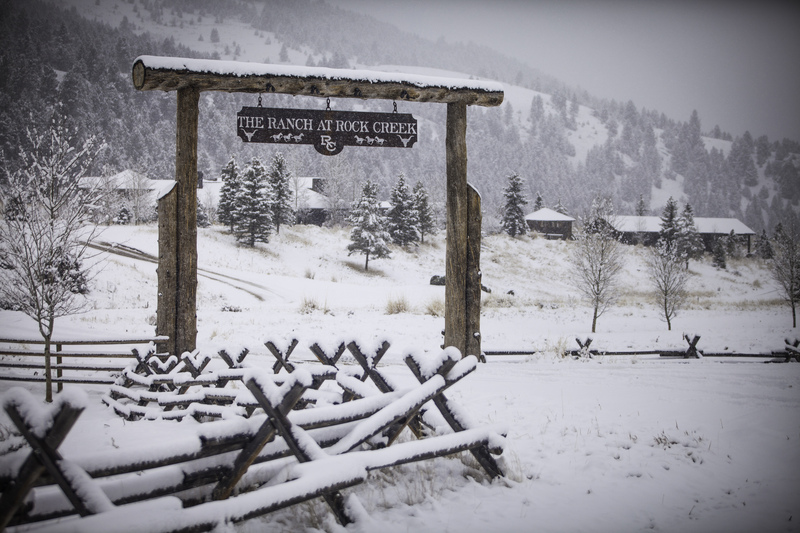 In the winter, take a horse-drawn sleigh ride through the pristine ranch followed by a home-cooked chili dinner in the ranch’s cozy lodge. Groups can also experience barrel racing, archery or even host a hoedown with live music and square dancing. Enjoying a horse-drawn wagon ride at Bar W Guest Ranch. 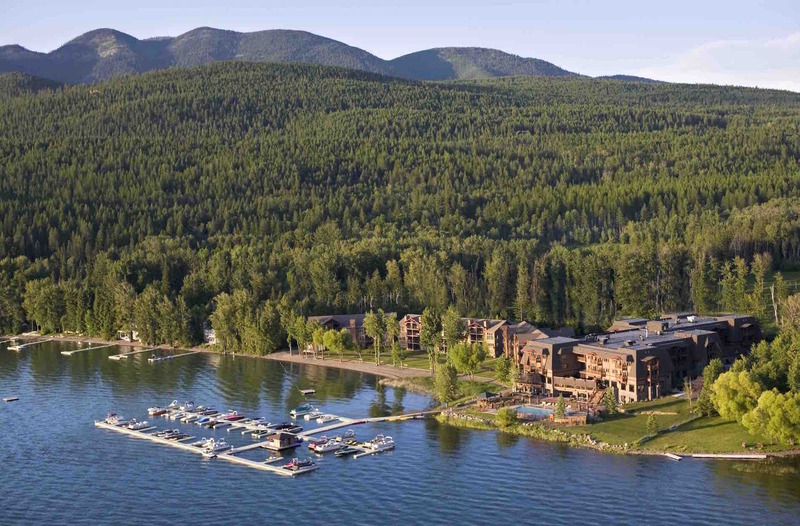 For meeting and event planners who are hosting meetings in Whitefish, our community is home to nearly 800 guest rooms and more than 46,000 square feet of meeting space. From smaller inns like Kandahar Lodge on Big Mountain (perfect for an intimate board retreat) to the full-service capabilities of Grouse Mountain Lodge, your meeting attendees are sure to enjoy Whitefish’s friendly hospitality, complemented by comfortable accommodations. 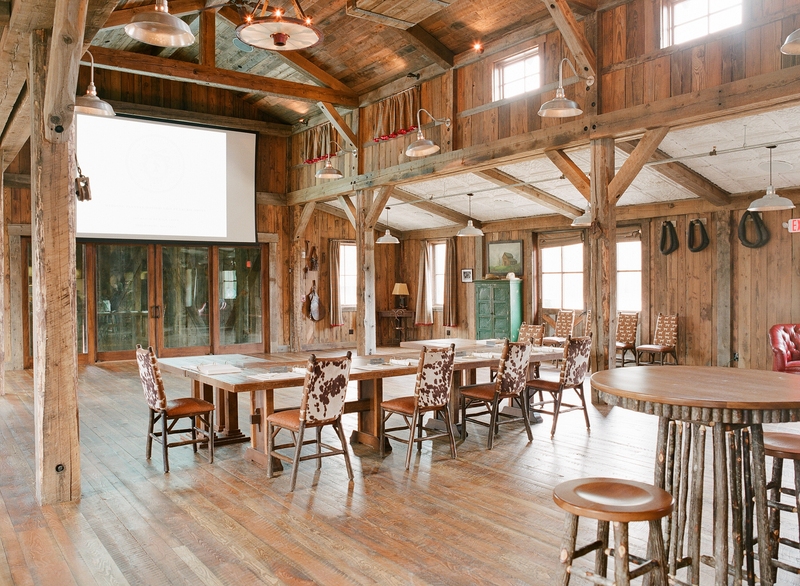 Plus, with so many lodging options, groups can utilize multiple properties for larger meetings. Another bonus: getting here is easy. 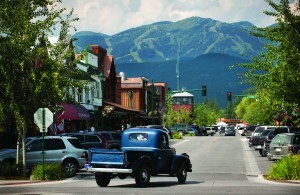 Whitefish is one of the closest mountain towns to a major airport. Glacier Park International Airport (FCA) is only 15 minutes from downtown Whitefish, with daily direct flights on major airlines from Denver, Salt Lake City, Seattle and Minneapolis, while seasonal flights arrive from Chicago, Oakland, Las Vegas and Portland, OR. Whitefish is also located on Amtrak’s Empire Builder line between Chicago and Seattle, with trains arriving twice daily. 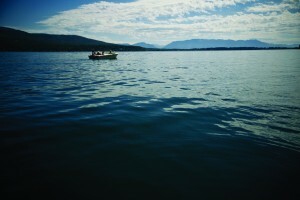 For more information on meeting in Whitefish, visit www.explorewhitefish.com. About the author: Jessica is the marketing coordinator for Explore Whitefish—the Whitefish Convention and Visitors Bureau—focusing on content marketing and group travel. 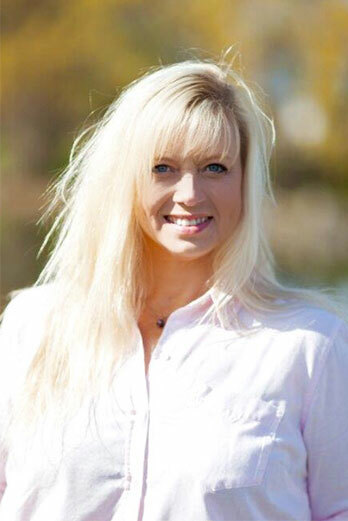 She can also be found extolling the virtues of riding a bike any given day of the year. This entry was posted in Meetings & Conventions and tagged Board Meetings, Montana Meetings, Whitefish meetings on March 2, 2016 by Tia. 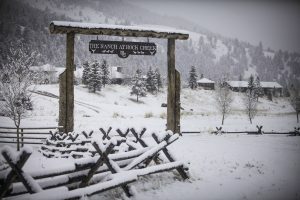 You’re planning a meeting in Montana. And chances are, the location is one of the primary reasons you selected Montana for your meeting destination. 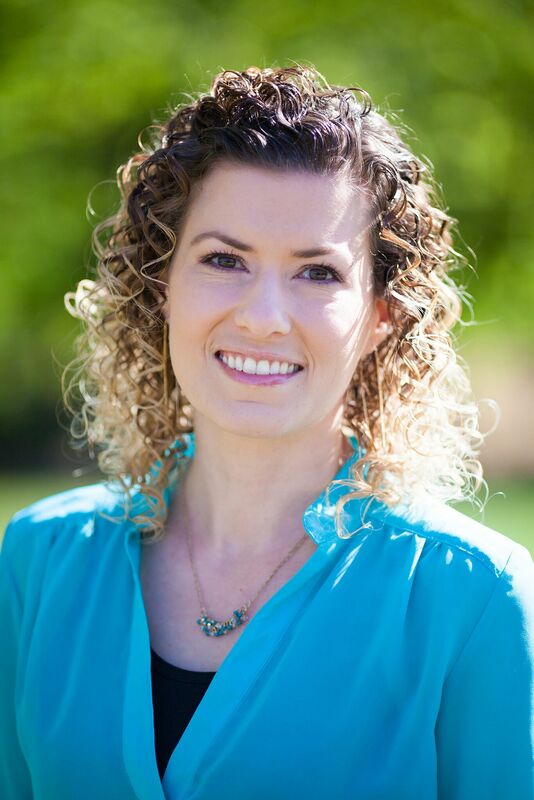 Your primary goal: to have a well-attended, educational, productive event. 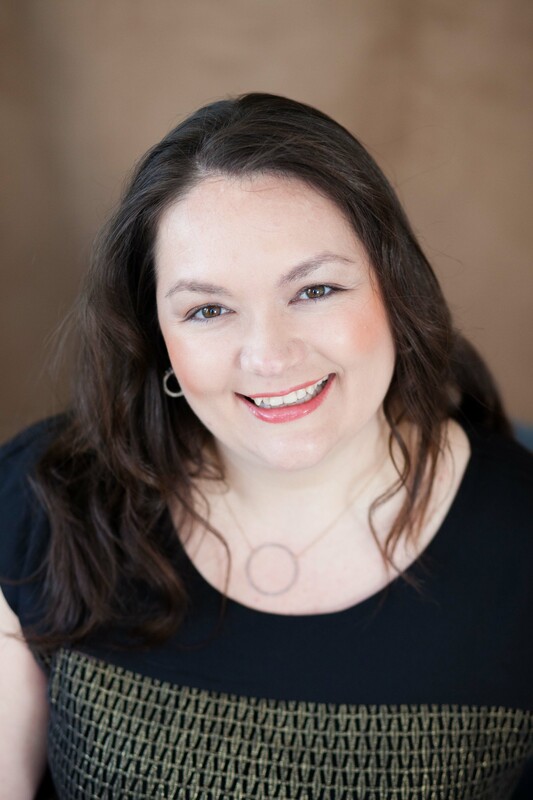 Your secondary goal: to make it a fantastic meeting that attendees will remember. One way to make your meeting stand out is to complement it with a Montana theme. 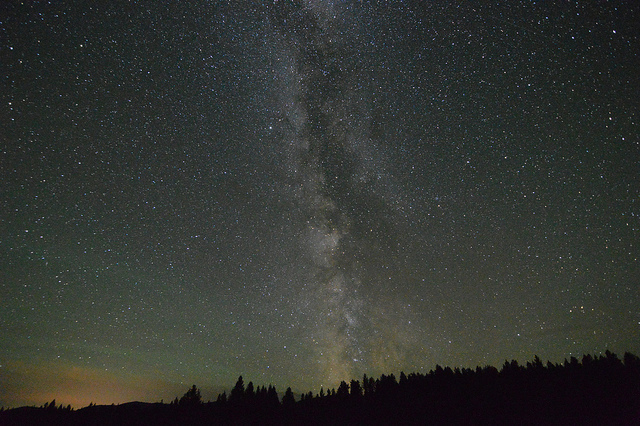 Here in Montana, the theme possibilities are as vast as our big blue sky. To help narrow down your options, we’ve rounded up a few suggestions to help make your Montana meeting perfect. 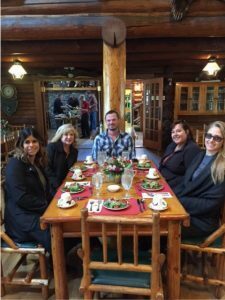 Western Montana’s Glacier Country has a variety of meeting venues (you can read more about some of our off-site venues here), from mountainside lodges to flagship hotels and riverside retreats. However, there are some venues that practically shout Montana. For mountain-themed lodging and venue options, we recommend Grouse Mountain Lodge, The Resort at Paws Up, The Lodge at Whitefish Lake, Hilton Garden Inn (with locations in both Kalispell and Missoula), Glacier Park Lodge, Flathead Lake Lodge and Quinn’s Hot Springs Resort. 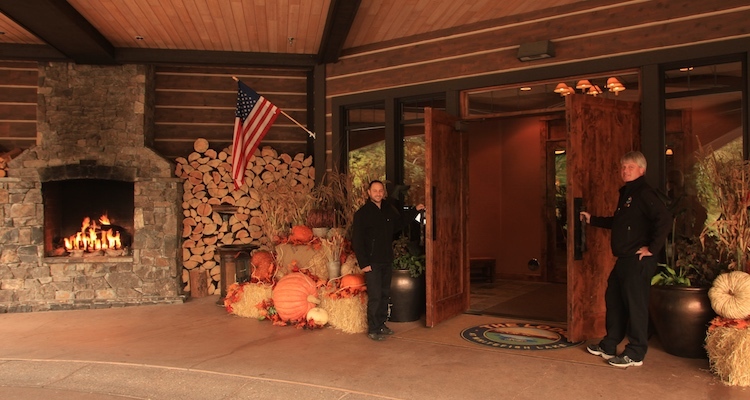 The lobby of the Lodge at Whitefish Lake is a beautiful depiction of luxury Montana. 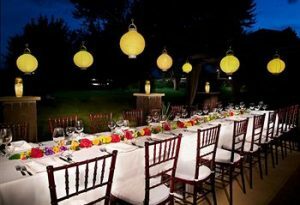 An outdoor dinner at Z5 Guest Ranch. 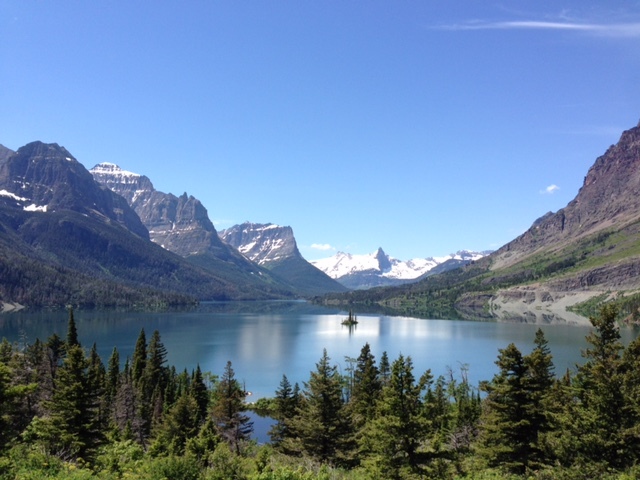 Keep in mind that nearly any venue in Glacier Country can work with you to add Montana touches to your meeting. While some venues are designed with Montana’s mountains and wildlife in mind, there are many ways to add a Montana look and feel to your meeting. Oftentimes when planning an event, the region’s landscape provides perfect inspiration. Topping our list: meadows of wildflowers, fields of wheat and barley, the teal-colored waters of the Middle Fork of the Flathead River, wide-open spaces, wildlife, backcountry roads and brilliant colors. Easy touches include mason jars with burlap ribbons, sunflower centerpieces, wildflower bouquets, hay bales, bandannas (great for decorating and can be used as a welcome piece at your kick-off reception) and lanterns. And if you’re doing an outdoor event (like a hayride), be sure to have cozy western style blankets available for attendees. 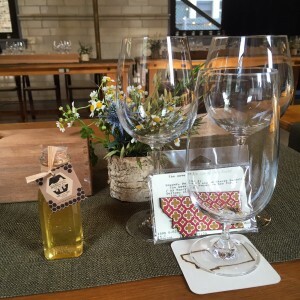 An elegant, Montana-themed place setting. 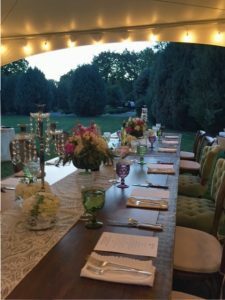 Food and drinks can make or break an event. 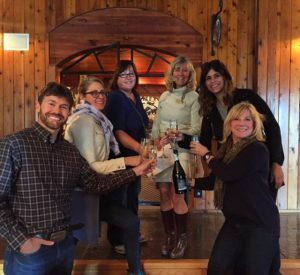 And since you’re already holding your meeting in Montana, we’re pleased to tell you that our culinary scene (you can read more about it here) is one of the best in the West. From locally raised bison, beef and yak to a thriving farm-to-table scene, many of our chefs, venues and hoteliers put an emphasis on Montana grown cuisine. 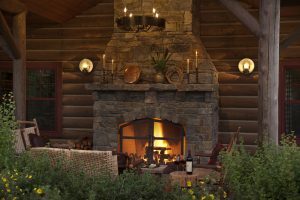 Topping our list of Montana-inspired food: braised bison short ribs, elk meatballs, lamb lollipops, bison steaks, juicy burgers and fresh huckleberry pie. Many guest ranches and off-site venues also offer chuckwagon dinners as a way to taste Montana. 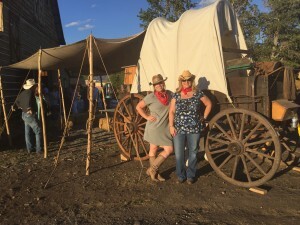 Relaxing at a chuckwagon dinner. 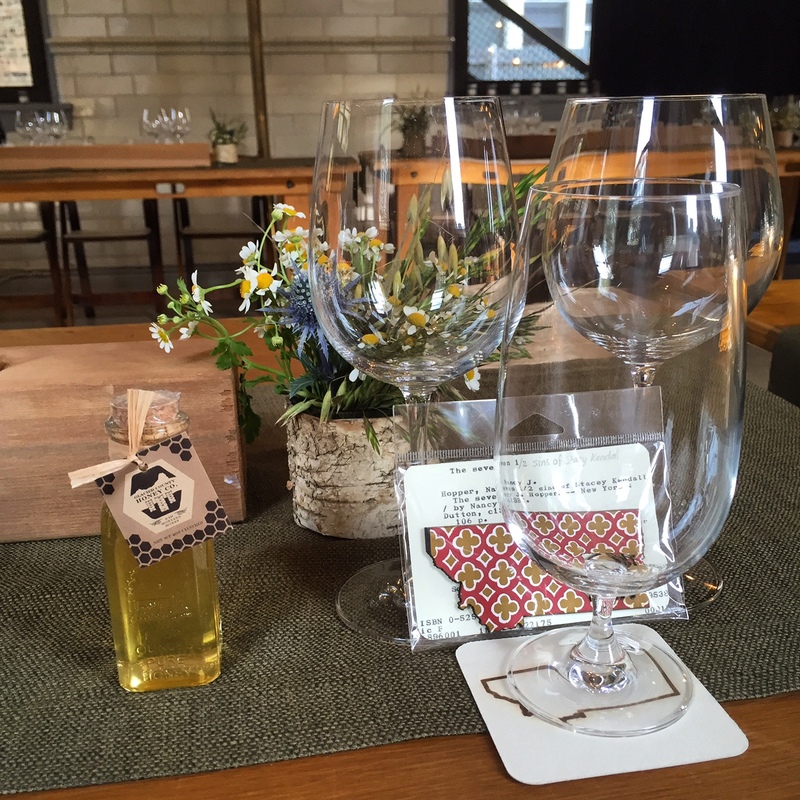 Another way to welcome your meeting attendees is with a bottle (or two) of local beer. If your meeting is in Missoula, we recommend Cold Smoke Scotch Ale from Kettlehouse Brewing Company. And if you’re hosting your event in Kalispell or Whitefish, try Going to the Sun IPA from Great Northern Brewing Company. 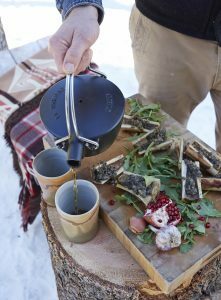 To create a Montana welcome basket, we suggest local products like chocolates from The Sweet Palace, honey from Glacier County Honey Co. and tea from Butterfly Herbs. 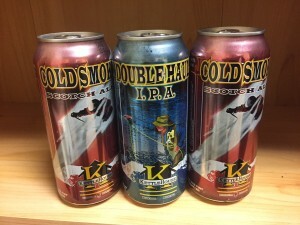 Beer from Kettlehouse Brewing Company in Missoula. 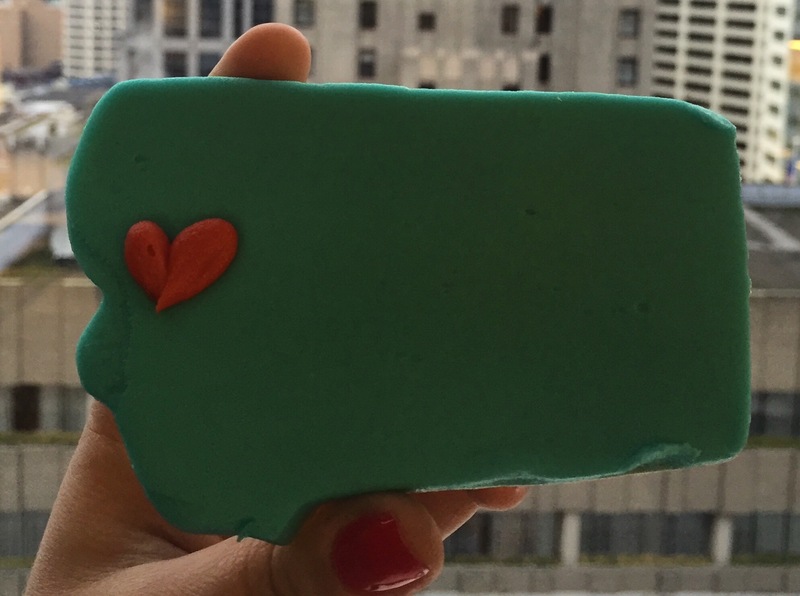 The perfect welcome: a Montana sugar cookie from Bernice’s Bakery in Missoula. 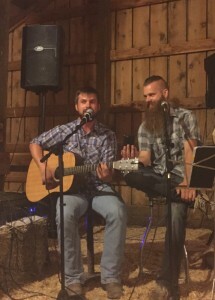 This region of Montana is home to incredible singers, songwriters and performers, with talent that includes full bands to American Indian drummers and dancers and cowboy poets to solo acts who can provide the perfect background ambiance for your event. For kick-up-your-heels fun, we recommend Tom Catmull’s Radio Static and The Lil’ Smokies. 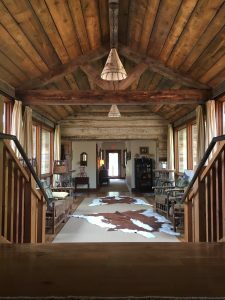 To incorporate Montana’s rich cultural history into your meeting, book a performance from Blackfeet singer-songwriter (and Montana’s Troubadour) Jack Gladstone. 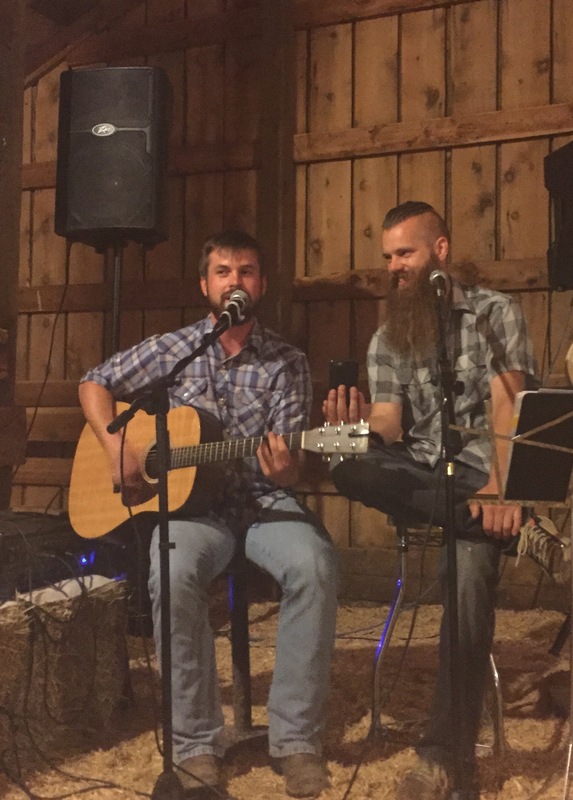 And for Montana-inspired songs and incredible guitar playing, we recommend John Floridis. If your meeting includes team building sessions, there are plenty of ways to incorporate a Montana theme into those activities. Try Walk in the Treetops at Whitefish Mountain Resort and have attendees work with a partner as they navigate the boardwalk above the forest floor or set out on a whitewater rafting adventures on the Clark Fork River with Montana River Guides. 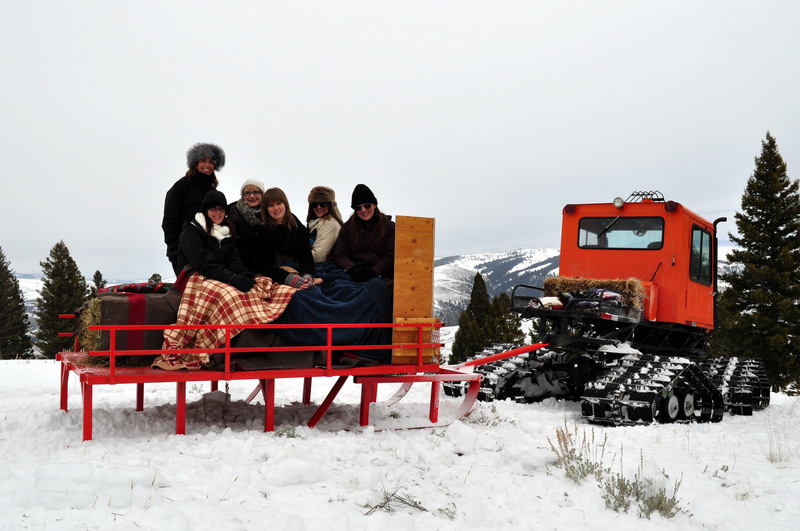 Additional suggestions include a pedal pub tour in Missoula with Thirst Gear (everyone has to peddle to move the bike), the ropes course at The Ranch at Rock Creek or team roping at one of our guest ranches. 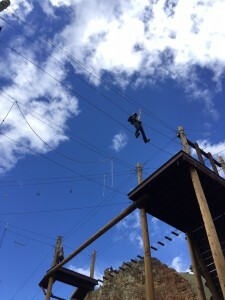 Navigating the ropes course at The Ranch at Rock Creek. A memento from a steak fry at Flathead Lake Lodge. 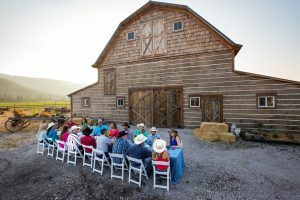 For more information about meetings in Montana or for additional suggestions on ways to add a Montana theme to your meeting, drop us a line here. Also, feel free to check out our meeting planner video as it incorporates many Montana themes into various venues. 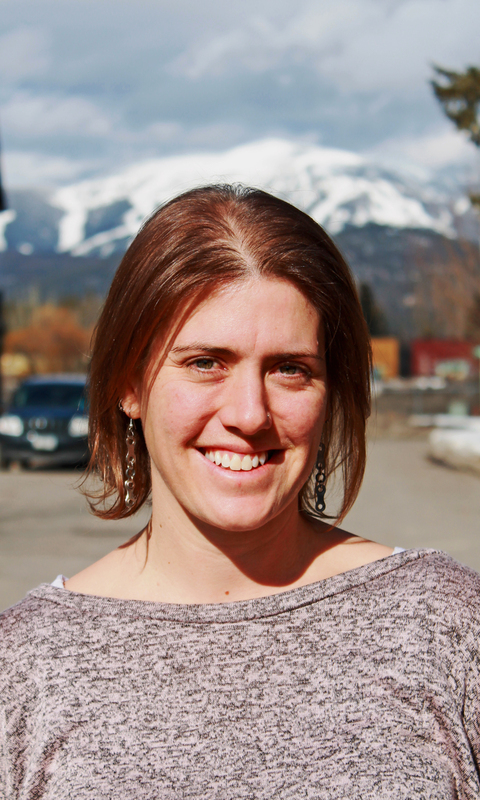 About the author: Tia is the Public Relations + Communication Manager for Glacier Country Tourism. 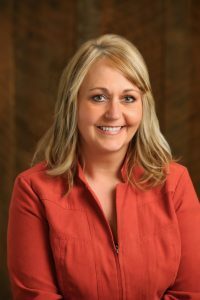 She loves planning a good party or event, especially when Montana is involved. Your can read more of her blog posts at glaciermt.com/blog or follow her on twitter at @MontanaTia. 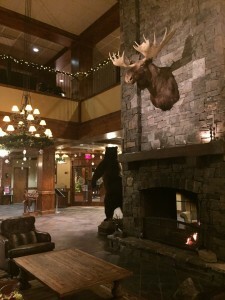 This entry was posted in Meetings & Conventions and tagged Board Meetings, Corporate retreats, Kalispell meetings, Missoula meetings, Montana Meetings, Whitefish meetings on December 1, 2015 by Tia.